Same gatefold cover without inner sleeves and bonus 7''. 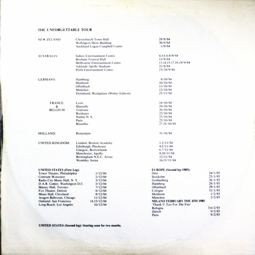 The concert is incomplete due 'Pride' missing at the end on side C.
Disc 1 weight: 148 gr. 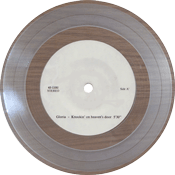 Disc 7'' weight 46 gr. 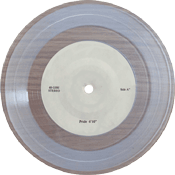 Turntable speed 7'': 33 r.p.m. 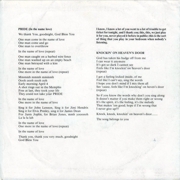 The tracks list printed on the labels are not correct compared with the tracks recorded on the vinyls. 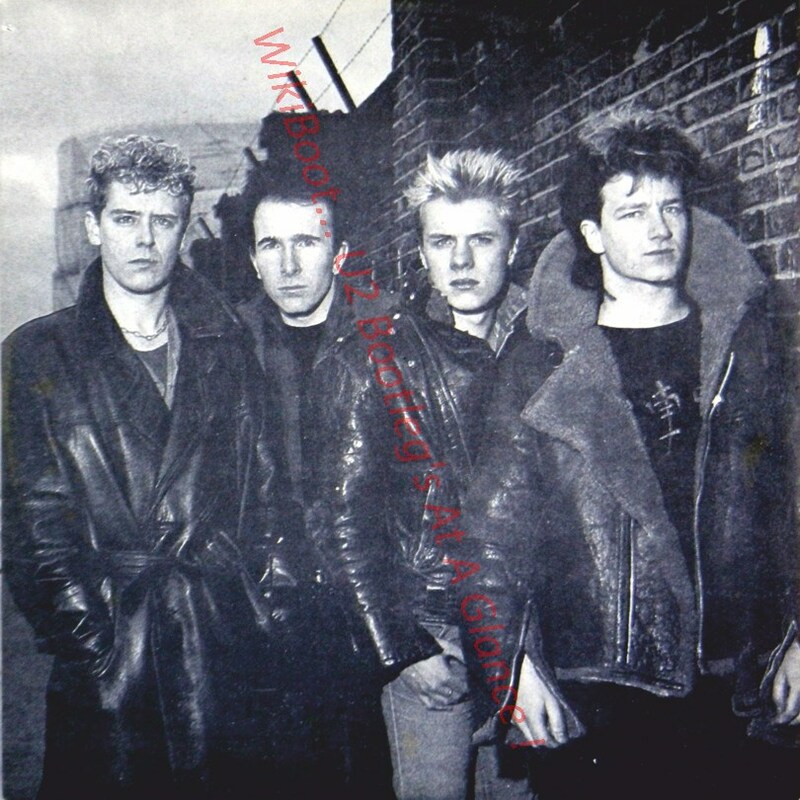 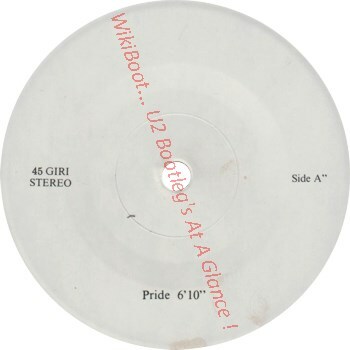 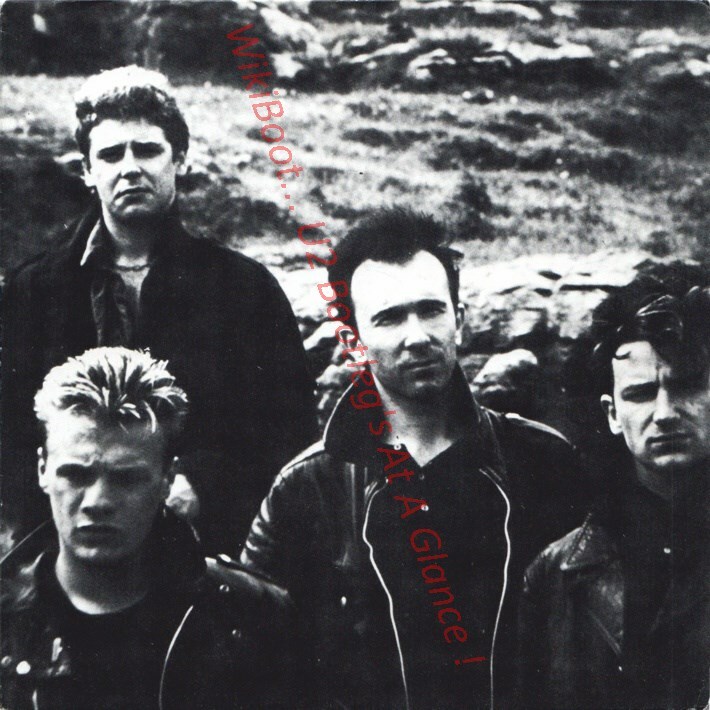 'Pride' not listed on labels and cover, but recorded at the end of side C (First release only) and on A'' side of the bonus 7'' included in the first release. 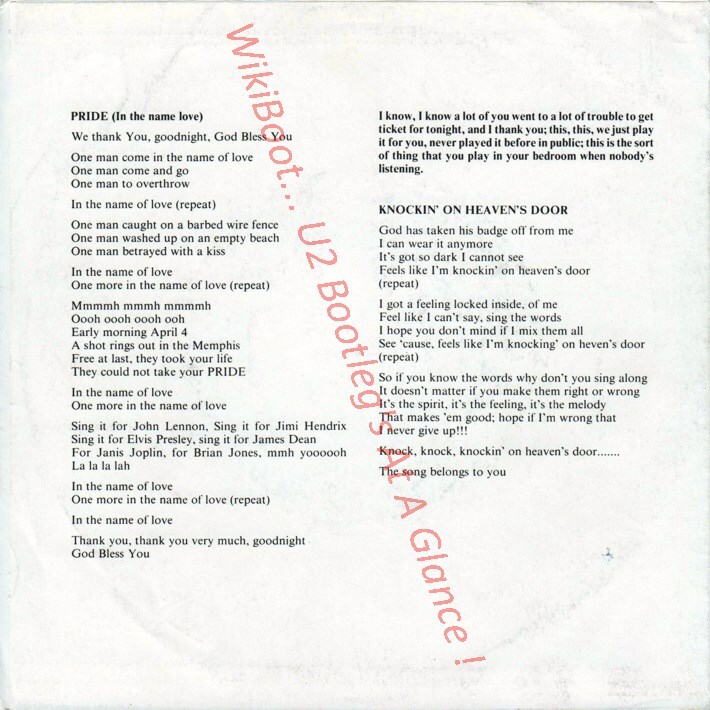 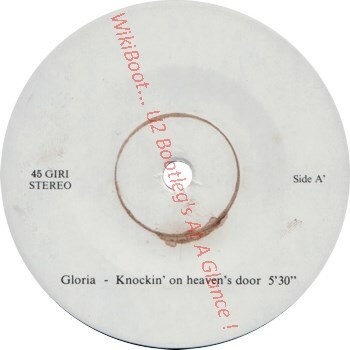 The 7'' bonus should have been included in the reprint release to complete the live recording ('Pride' on A'' side) and not in the first release (bootlegs mystery). 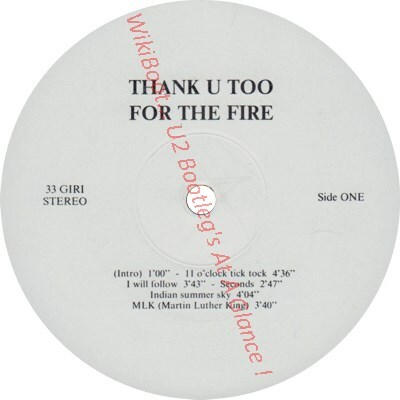 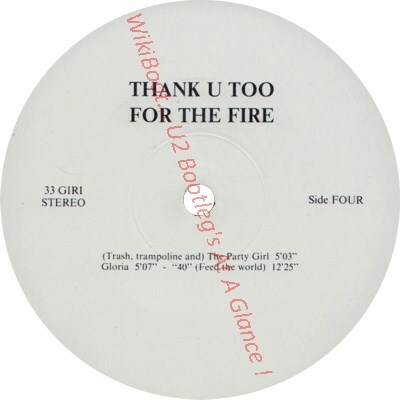 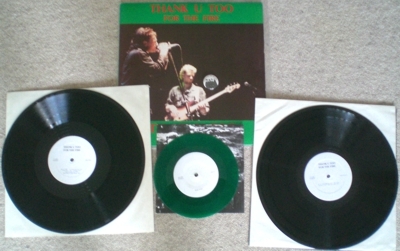 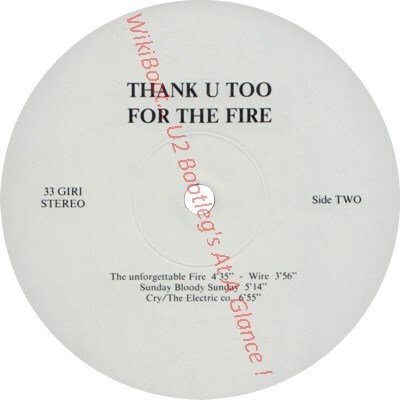 The first release has the same side A & D of 1PDK 'O'Connel Street' & same vinyls of 2PDK 'Thank U Too For The Fire'. 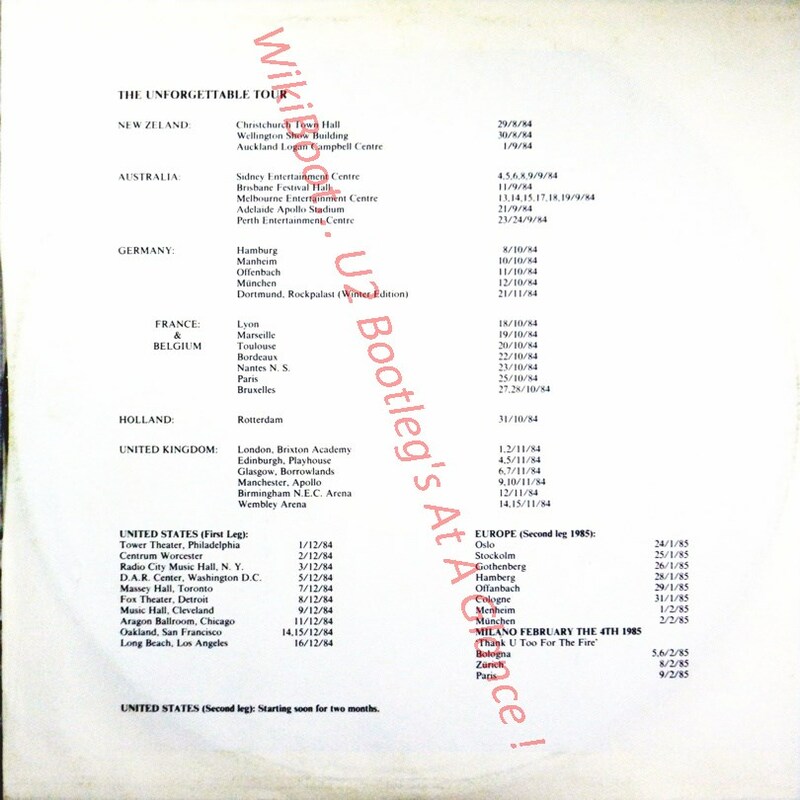 Curiosity: The matrix of the first release is similar to the matrix of 1LP 'Odds & Demos From 1978 To 1983' (1st release).